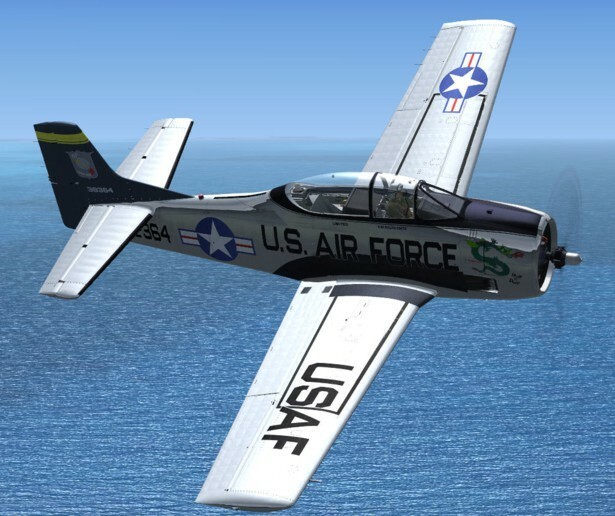 The T-28 was initially created as a two seat trainer for the US Air Force with the first aircraft flying in 1949. 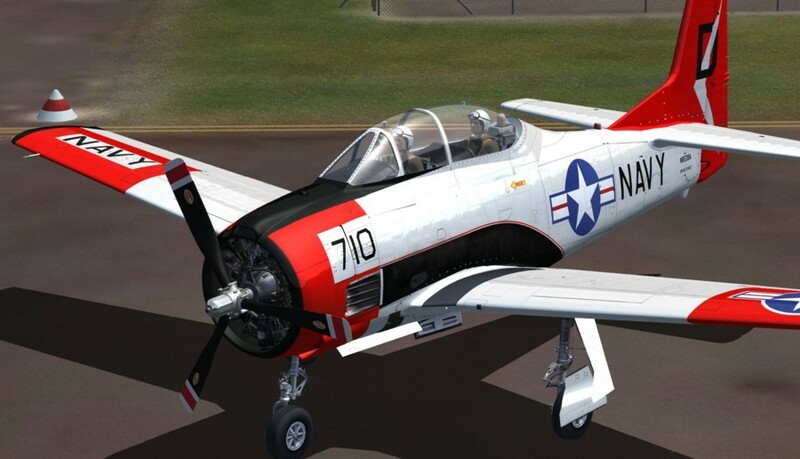 The aircraft had a short production run with the last new T-28 delivered in 1958. The original A model had a miserly 800 horsepower, 7 cylinder radial engine and a two bladed prop. The Navy became interested in the aircraft and ordered 491 B models which had the considerably more powerful 1425 horsepower Wright Cyclone R-1820-86 9 cylinder engine. The C model followed a few years later and this was modified with a tail hook for carrier operation. 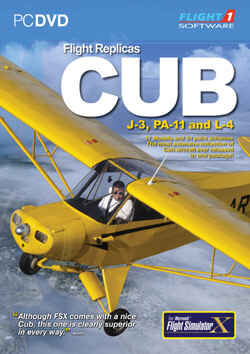 A shorter prop was installed on the C to prevent prop strike. Some of the original A models were modified with a larger engine and became the D model. These D models saw combat in various regions around the world. 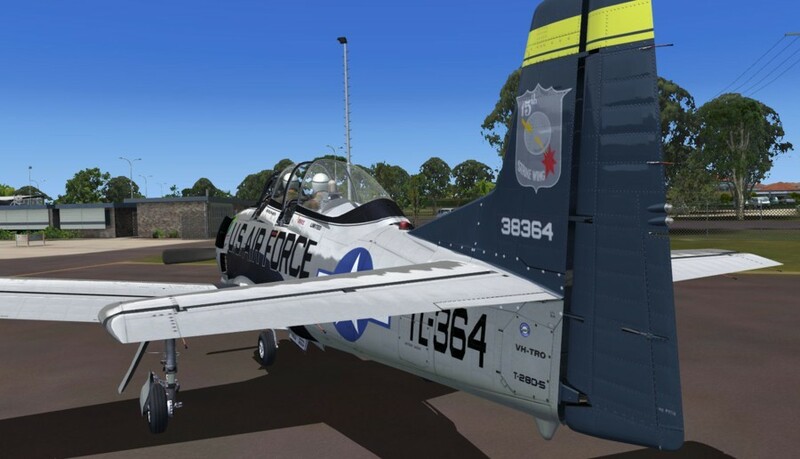 This aircraft is based upon the T-28D “Huff ‘n’ Puff” from Warbird Aviation at Archerfield. 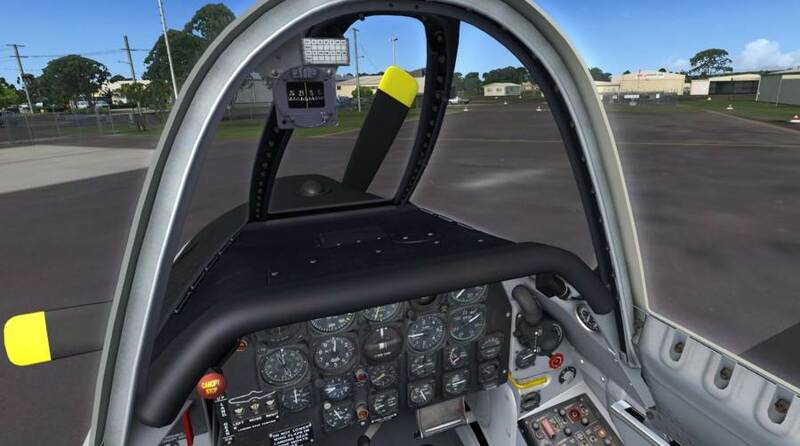 The aircraft has a 1,425 horsepower 9 cylinder Wright Cyclone radial engine with typical cruise speeds from 180 to 200 kts. Climb rates can approach 4000 fpm. 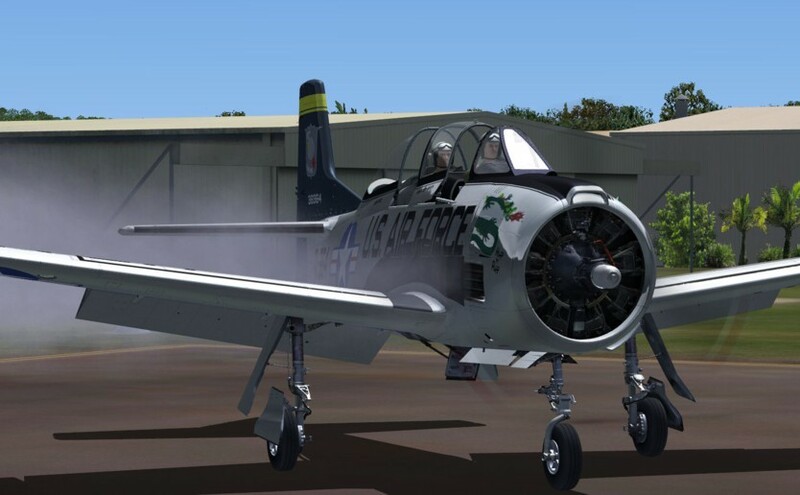 Also available as a separate package is the T-28B/C as flown by the US Navy. 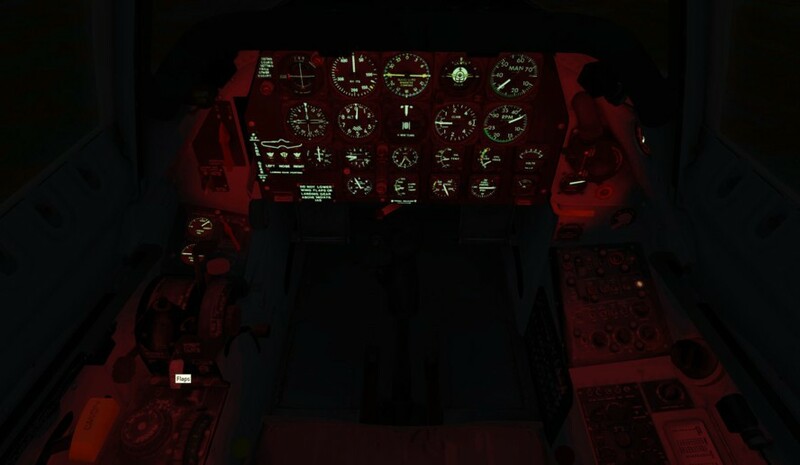 - Fixed issue with FSX:Steam Edition where bloom effect was causing black squares in the Attack model. - Three different models. 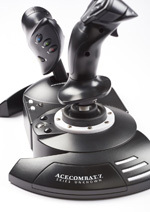 DUAL model contains front and rear cockpits. 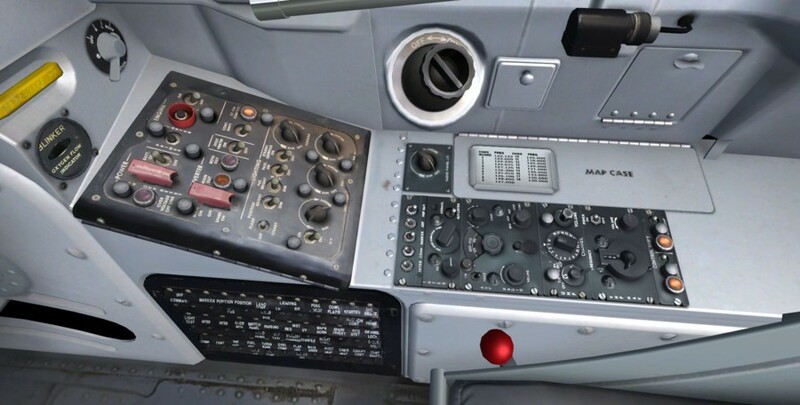 SOLO model contains front cockpit only for better framerates. ATTACK model is the same as the SOLO model but with six weapons stations, armament panel and gun sight. - Individual sounds for switches knobs etc. 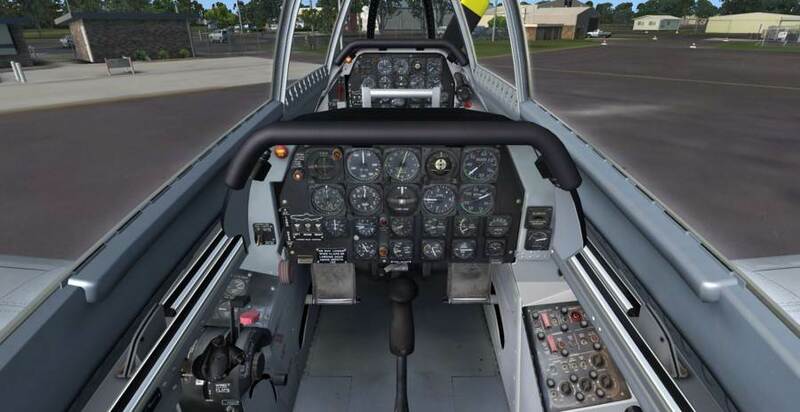 - Microsoft's Flight Simulator X SP2, Acceleration or FSX Gold, FSX:Steam Edition or Prepar3D v1, v2, v3 or v4. The paint kit was created using Corel Paint Shop Pro X2 (PSP) and is available as native pspimage files or as photoshop files (exported from PSP). 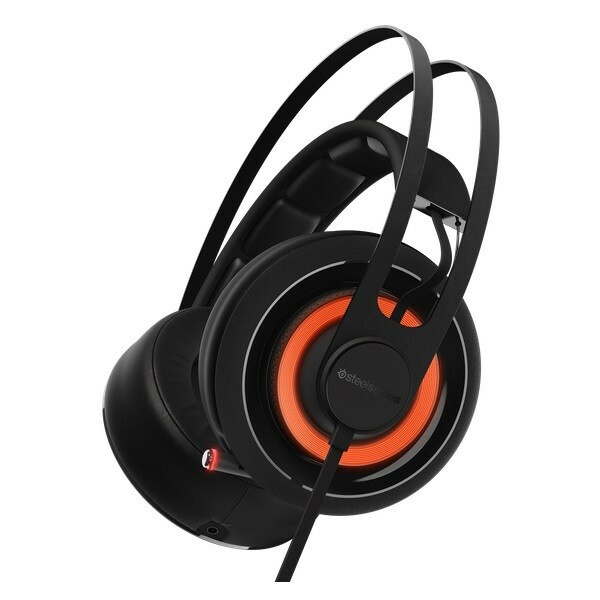 The pspimage files have the advantage of layers being grouped into suitable groups. The photoshop layers are not grouped as the groups were not exported by PSP. I was waiting a long time for this one to be released. It is a unique military aircraft and when Ant decided to make it, I was thrilled. I am happy to report Ant has done a superb job on this model. It is his largest aircraft made to date and quite possibly his best so far. 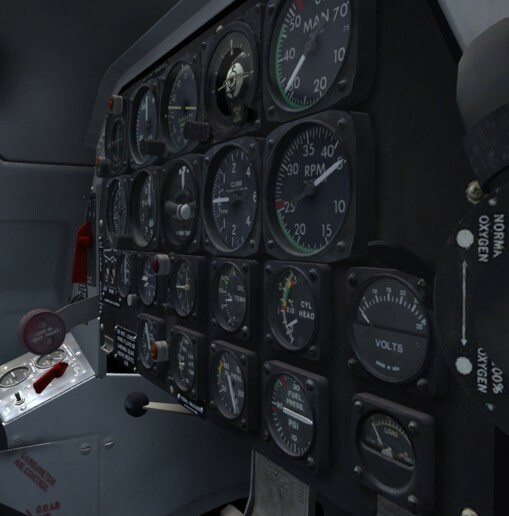 If you love the classic miliatry props, get this!